Remember when Parineeti Chopra aced the bridesmaid game at her Mimi didi's wedding? 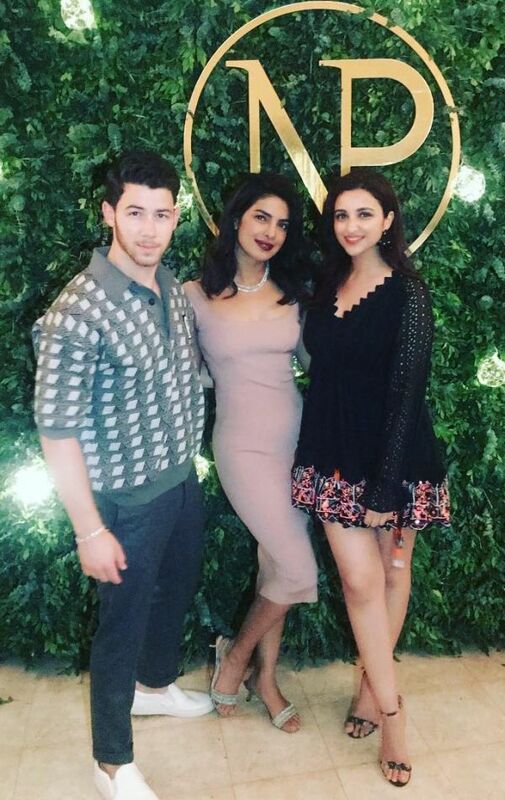 The Nick–Priyanka wedding was one big, dreamy affair. Parineeti was the ideal saali to jiju Nick Jonas and has been all praises for him ever since. 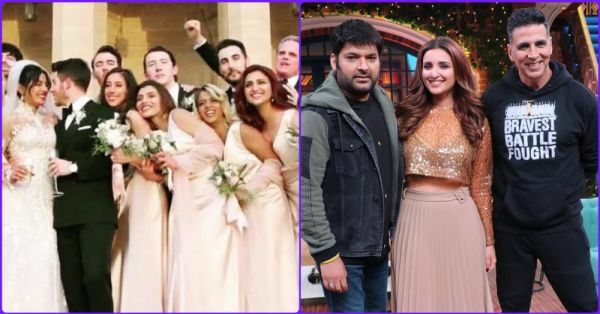 She recently made an appearance on The Kapil Sharma Show to promote her film Kesari with Akshay Kumar, and gave us more juicy deets from the grand wedding. The host, Kapil Sharma, asked the actress if she got paid in dollars or INR for the joota churai ceremony. Parineeti told him that she got a lot of cash both in INR and Dollars, all thanks to her generous jiju. Well, the actress had disclosed her plans to rob Nick blind during the ceremony. She said that she'd be asking for US$5 million as her videshi jiju was oblivious to all the Indian customs. Kapil further candidly asked her if any of Nick's friends tried to flirt with her during the wedding, as she was a bridesmaid as well as the bride's sister. Parineeti laughed it off and gave an affirmative response. She jokingly said, "Line toh maari par maine line di nahi!" Parineeti had tweeted about the joota churai ritual to reveal that Nick was quite generous with the shagun. But now we know how generous he really was. Her tweet read, "To all those speculating the joota hiding money - you know nothing!! All I can say is - you’re wrong!!!!! Haha. Nick was MORE THAN CRAZY HUGELY MADLY GENEROUS! No words. Still reeling. Phew. He shocked us. Whatta playa!!! @nickjonas." Well, Nick surely knows how to win the hearts of desi girls around him. This episode of The Kapil Sharma Show was truly an entertaining one. While Parineeti was getting her hair and makeup done, Kapil said, "Pari, you look fabulous, always!" To this, our junior PC replied, "Kapil, ab teri shaadi ho gay hai, ab tu band kar de flirt karna." After an extravagant season of big fat Indian celebrity weddings, Parineeti was asked during one of her promotions for Kesari that if she was also inspired to get married soon. "Currently, I have no plans, I don't think so! If I get married ever in life, then it has to be when I'm ready for it which is not today. I'm not thinking about all that today," the 30-year-old actress told reporters.